2010 April » Change Myself. Change the World. 30 minutes for each team member to complete their heaviest sntach (pull the weight from the ground straight up overhead without a stop in the middle). Bonus for how quick you can get through it. 2 men and women do 50 muscle ups on the rings. 200 overhead squats 95#/65#. 3000 meters on the rower. Our teams prediction is that there will be a lot of teams that will run faster than us in that first workout but we will do great in the second two. Lucinda lifting technique is like a professional’s, Rosanne can probably do 100 overhead squats by herself, and Steve and Sid can both do more muscle ups than most people there. So our sprinting is just going to be damage control to try not to let it hurt us too bad. We’ll see. I buy a lot of fruit and vegetables and all those clear plastic bags go straight in the trash. Reusing them would be a good idea except for some reason it doesn’t appeal to me to put grapes in a bag that used to carry onions. 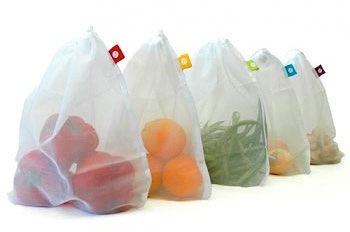 Instead I found some mesh produce bags on Amazon so I am going to order those. 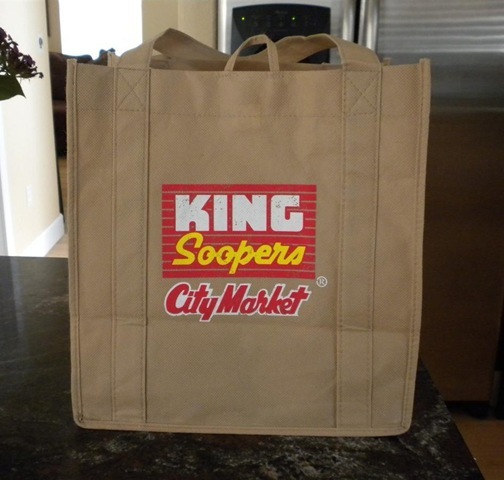 I am wondering how strange I am going to feel carrying all of my various bags around King Soopers but in the grand scheme of things I think I can handle it. I injured my big toe last night playing volleyball. I made a quick move forward for a ball and it got caught in the sand. I stepped down hard with it bent underneath. It hurt so bad. 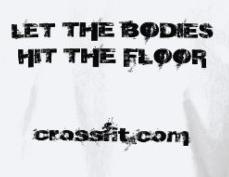 This Friday is CrossFit Regionals. My only job for Friday was going to be four sprints, two 100s and two 200s. With a hurt toe, sprinting is about the only thing I can’t do at all. So its possible I did all that hard work just to end up as a spectator on Friday. I am really down. I feel terrible about possibly letting down my team and putting all the pressure on the other two girls. But all I can do is ice the toe and take care of it and hope I make a miraculous recovery in the next couple days. I guess we will see. 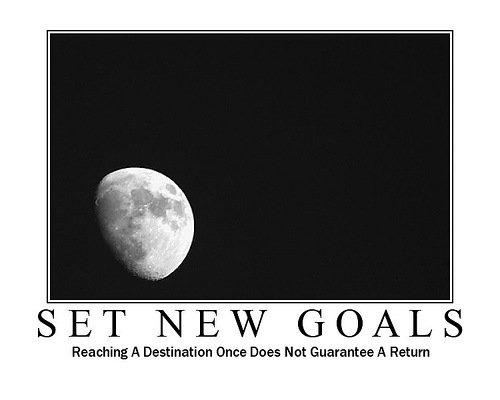 April 27, 2010 · Filed under 1. Get fit. A few years ago I used full sized grocery bags to clean the litter boxes every single day. What a waste! I finally switched to doggie bags made from recycled plastic so that was an improvement. But that is still up to 31 little bags in the trash every month. Then I thought… What if I just flush it down the toilet? Bad! I was researching flushable cat litter and found out cat feces has toxic chemicals and parasites that cannot be removed by water treatment plants. Organizations like The Sea Otter Alliance actually speak out against flushing that stuff because they are finding sea otters infected with Toxoplasma from cat feces. I looked into composting (also a goal of mine). Same problem. You don’t want toxic chemicals and parasites in your vegetable garden. To go that route they recommend a separate bin that sits at least 18 months before the compost is used! I will look into that eventually but I am not quite there yet. 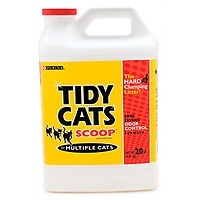 I had no idea finding an environmentally friendly way to clean the cat litter would be so complicated. 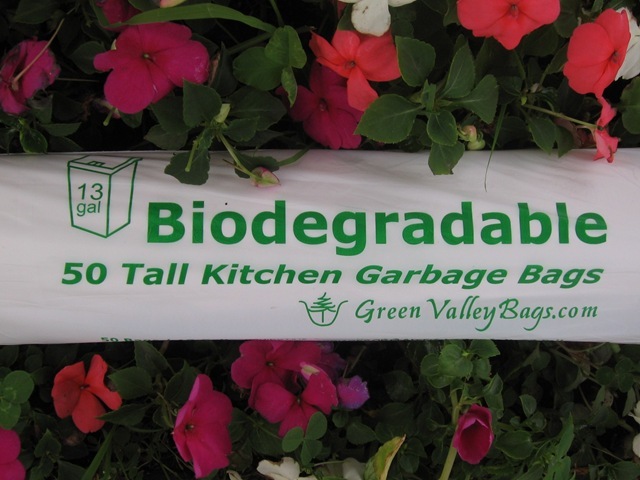 But finally I found out they make biodegradable doggie bags called BioBags. I am going to order some of those and in the meantime reduce cat litter cleanings to 2-3 times a week. 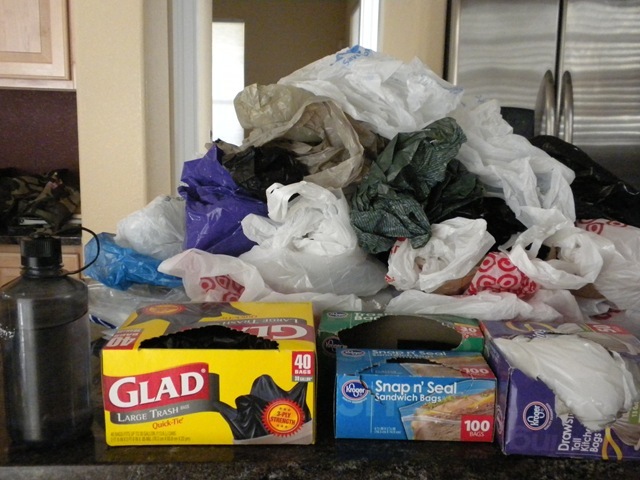 This morning I made a quick sweep through our house and gathered up all the plastic bags that aren’t currently storing anything. The picture below is the result. I put a Nalgene bottle on the counter so you can tell how tall the pile is. It reaches my shoulders. I count 421 bags including Ziplocs and ones I use to clean the cat litter. 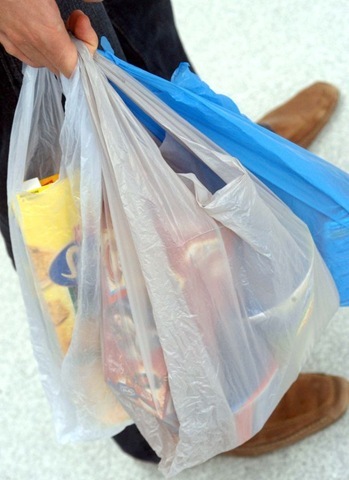 It is amazing how many plastic bags two people can go through if they are not paying attention. So for the next two weeks I am going to pay attention. No, I don’t think I can save Earth by banning plastic bags at my house. I am not going to be militant, refusing to buy baby carrots because they come in plastic. But I do want to find out how easy it is to just be a little better about it. It is infinitesimally minor in the grand scheme of overall environmental issues but I figured if I approach it as an interesting experiment rather than an attempt to save the planet it will feel more significant, at least to me. April 22, 2010 · Filed under 1. Get fit. This round is going to be half as long and will focus on fewer areas. As I mentioned Sunday, it started Monday and will last 6 weeks ending on Memorial Day. 1. Stain all the trim and doors for the basement. 2. Plant herb and vegetable garden. 3. The Plastic Bag Experiment. (I will talk about this on Friday). 3. Burpees – 42 Day Burpee Challenge. (I will talk about this tomorrow). 5. Jump Rope Double-Unders – 50 in a row. Note: I did this once and have not been able to do it since.